The most common and popular multimedia devices used by younger generations in Pyongyang are still MP4 players and DVD playback devices with USB compatibility, of course; however, on Changgwang St. in the very heart of Pyongyang a few people have recently been witnessed wielding the popular Apple machines. One Orascom official also previously reported witnessing the use of an i-Pad in Pyongyang. However, it is not possible to use the product’s 3G cellular facility in the city as yet. Naturally, the internet is not available to domestic users of phones in North Korea either, while the i-Pad is renowned worldwide for its lack of USB ports, too, much less a DVD drive, so while the elite may be obtaining the devices one way or another, only those lucky enough to live abroad can really use them. iPods have been popular in the DPRK for some time. More than once have tourists been propositioned to give up their portable music devices. The most exciting development to us was Orascom’s 3G Internet service which was still under the testing phase. The plan is to roll out this service in the near future, although the service will only be available to resident foreigners in the initial phase. Approval for this service to be provided on a larger-scale to North Korean citizens, in any censored form, has yet to be given although the infrastructure to do so is in place. For foreign residents in Pyongyang, the service could offer cost-savings of up to 60-80 percent over current satellite internet offerings. There is no information on what security trade-off such a service might entail. 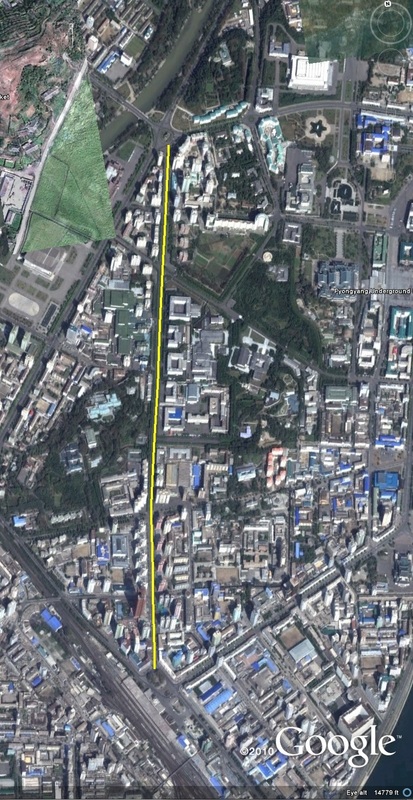 Click here to see previous posts about Orascom and cell phones in the DPRK. The report said North Korea’s 24 million people are barred from the Internet, with connections available only in some hotels, where sending a picture costs around W68,000 and a single email W3,400. 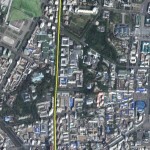 North Korea has set up road blocks along the information super highway and is committing “robbery,” Kwok added. The last time I visited the DPRK, I recall that emails and phone calls from the Yangakdo Hotel are exorbitant–also, there are no phone books available and switch board operators (yes, they still have them) are of no help. If you don’t know the number you need to call you have to get creative. But, with prices like that you would think the DPRK would like more journalists to visit! Also mentioned in the article is Pyongyang’s new fast-food Samtaesong Restaurant, which I blogged about here when it opened. According to the article “Samtaesong” translates to “three big stars”. I am going to go out on a limb and guess that those three stars are the “Three Stars of Paektu: Kim il Sung, Kim Jong Suk, and Kim Jong il.” now you can show your loyalty to the three stars while eating a burger, which is much more pleasant than standing silently in line formation under the hot sun for hours on end while political leaders you have never met read long speeches to you. North and South Korea are poised to allow Internet, telephone, and cellular services to be available in the Kaesong Industrial Complex (KIC) and at the Kumgang Mountain Tourist Resort beginning next year. The 7th Defense Ministerial Talks opened on December 12 at the ‘Peace House’ on the South Korean side of Panmunjum, and at the meeting, North and South Korea reached an agreement regarding communications, transportation, and customs. According to the agreement, Pyongyang has given permission for the use of Internet landlines and cellular phones in the two largest inter-Korean cooperative projects. However, while the South Koreans pushed for the inclusion of “mobile phones” in the agreement, the North insisted on “wireless telephone communications”, suggesting that they hope to use dual-use wired telephones rather than mobile cellular phones. In addition, under the agreement, North and South Korean rail and road traffic will be allowed to cross the border daily from 7:00am to 10pm, with the exception of Sundays and official holidays. Currently traffic in the area is limited to 7am~6pm in the summer, and 8am~5pm in the winter months. The two sides also agreed to new procedures aimed at simplifying customs inspections and reducing delivery delays. From now on, the two sides will exchange lists of goods being moved, after which time any specific good that is flagged will be inspected. Currently, both sides are required to supply a list of goods to be pass through the area three days in advance, and every piece is individually inspected, complicating customs procedures. The agreement was signed ROK Defense Minister Kim Jang-soo and Kim Il-chul, minister of the DPRK People’s Armed Forces, and went into effect on December 13. With this agreement, exchange and cooperation in the KIC and Kumgang Mountain resort are expected to even more actively grow. Despite his relatively advanced age, Kim Jong-il takes the IT industry seriously. He obviously believes that the IT industry might become a wunderwaffen (super weapon) which one day will save the ailing North Korean economy (Kim Jong-il has always believed in simple, one-step, technology-based fixes for problems). Now and then, news agencies report on North Korean efforts to train software specialists, or on a technology firm established by the North Koreans, or even on Kim Jong-il’s plans to create a large industrial complex which would become the North Korean reply to the Silicon Valley. Efforts to create a computer industry go back to the late 1970s. In those days, the U.N. Development Program helped the North build a small pilot integrated circuit plant. Its history was plagued by one misfortune after another: the plant’s building proved to be badly insulated, the electricity supply was unreliable, and the engineers who were sent overseas for training arrived too late (most of them did not speak English, anyway). However, by late 1985 the plant was operational, producing ICs, an essential component of a computer. By the early 1990s, the North was producing some 20,000 computers a year. Not much, but enough to provide for the military and even earn some money from export (over 60 percent of them were said to be exported). In the early 1990s the North Koreans developed their own software, including a word processor. The latter had, among others, a peculiar function: it could automatically insert the names of the Great Leader and Dear Leader through a specially designated hot key. In the North the PC was never meant to be a personal computer. It is reserved for office or industrial use, not for home – not least because the Internet is unavailable. For a regime which (correctly) assumes that its survival depends on its ability to keep the populace ignorant about outside world, the internet presents a mortal danger. Matters are further exacerbated by the unique success of the South Korean internet. If North Koreans were allowed to surf the numerous Southern sites at will, the carefully constructed picture of the world would instantly fall apart. Thus, the internet is outlawed – but not completely. In recent years, foreign embassies have been allowed to connect to Chinese internet providers, but they have to pay the exorbitant fee for an overseas call (currently, $2 a minute). The connection is unreliable, but if your bills are paid by your country’s taxpayers, you probably can check your email… Access to email through business centers and even Internet cafes is becoming possible as well _ as long as one is a foreigner and is willing to pay exorbitant prices. Only the privileged few have unlimited high-speed access to the Internet. But these trusted people are numbered in the hundreds or, perhaps, count a few thousands. Access is provided for the military, intelligence, and few privileged research centers only. Rooms where the internet-connected computers are installed are considered off limits for the North Korean personnel, and only people with proper security clearance can access this source of dangerous knowledge. Less privileged institutions have access to local networks with limited connections to the World Wide Web. Their task is to let scientists and engineers retrieve the data they need without unduly exposing them to the dangers of overseas decadence. There have been attempts to make money through IT. None of the grand plans for selling locally developed software on the international market have come to fruition, but there are easier ways to make a buck. In 2002 the North Koreans started an on-line gambling site in cooperation with a South Korean company. It targeted South Koreans, since gambling is illegal here. Its message board attracted much popularity since it was a place where the Southerners could exchange messages with the North Korean staff. The ability to chat with the Northerners was exciting (even though the largely young participants probably did not realize to which extent their interlocutors were controlled). The combination of gambling and propaganda obviously terrified Seoul, and the site was closed down. Another area where North Koreans are trying their luck (and obviously not without moderate success) are game development and computer animation. Indeed, even major studios are sometimes inclined to outsource their animation work to North Korea. The Internet remains a hot potato for the North Korean leaders. They understand its importance, but they do not know what to do about its political dangers. While facing such a choice, they have always opted for political security. Redoubled efforts are being made to build a socialist economic power in the DPRK. The people are turning out in the grand march for perfecting the looks of a great, prosperous and powerful nation, full of confidence in sure victory and optimism. 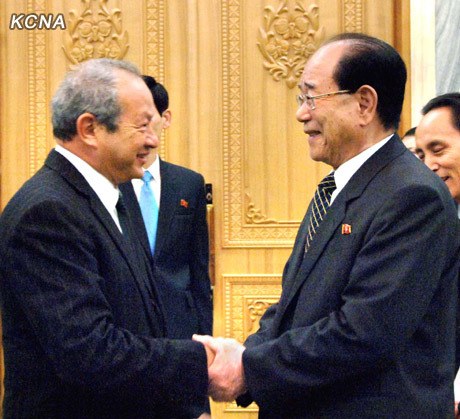 The DPRK has consolidated the foundation for building an economic power over the last years. The Workers’ Party of Korea has developed in depth President Kim Il Sung’s idea on economy as required by the developing revolution and thus provided unswerving guidelines for building an economic power. 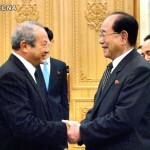 While implementing the revolutionary economic policies of the WPK such as the line on economic construction in the Songun era with main emphasis on the development of the munitions industry and the policy of putting the national economy on a modern footing and IT, the Korean people have been firmly convinced that they will certainly build an economic power in this land when they work as indicated by the Party. The army-people unity has developed as the oneness of army and people in terms of ideology and fighting spirit in the Songun era. It constitutes a powerful impetus to the construction of the economic power. The Kanggye spirit, torchlight of Songgang and the Thaechon stamina have been created while the whole society following the revolutionary soldier spirit. The efforts have brought about a great change in the overall socialist construction. Through the heroic endeavors, the people replete with faith in the future of prosperity have put industrial establishments, once stopped, on normalization of production and erected many monumental edifices including the Thaechon Youth Power Station No. 4. An importance has been attached to science. A large army of intellectuals are paving the shortcut to the construction of an economic power with an extraordinary revolutionary enthusiasm. A solid material and technical foundation for the construction of an economic power has been laid in the country. All the sectors of the national economy have pushed ahead with the work of perfecting production structures, renovating technique and putting them on a modern footing, with the result that the number of such model factories in technical renovation and modernization as the Pyongyang 326 Electric Wire Factory is increasing as the days go by. Production bases such as foodstuff factory, chicken farm, catfish farm, beer factory and cosmetic factory, which are directly contributing to the improvement of the people’s living standard, have mushroomed in different parts of the country. The DPRK, with all the conditions for leaping higher and faster, will demonstrate the might of an economic power in the near future.